TNEA 2017 Rank List will be published today by Anna Univerity. TNE is a counselling process which is conducted for admission to BE and B.Tech. degree Courses to the University Departments / Constituent Colleges of Anna University. New Delhi: TNEA 2017 Rank List will be published today by Anna Univerity. TNEA is a counselling process which is conducted for admission to BE and B.Tech. 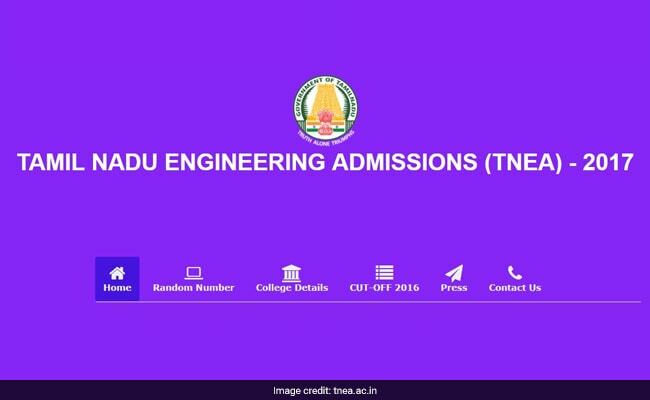 degree Courses to the University Departments / Constituent Colleges of Anna University, Government and Government Aided Engineering Colleges and for the seats surrendered by the Self - Financing Engineering Colleges. The university began the process of random number generation on June 20, 2017. After rank publication today, the university will begin counselling process from June 27. Anna University conducts TNEA which is a centralized counselling procedure for admission to BE and B.Tech. courses. Every year approximately 1.5 lakh students get admission to engineering courses through this Single Window Counselling process. TNEA counselling is done on the basis of marks obtained by a student in class 12th board exam. Earlier the university used to conduct an entrance exam for selection of students but the practice has stopped in the last few years. Students are called for counselling on the basis of ranks allotted to them. The counselling will be an online process. It must be noted here that there are strict eligibility criteria for students who apply for TNEA counselling. One of the primary requirement is that the student should have completed their class 12th education form Tamil Nadu.